Please note that our Rochdale store is closed until Wednesday the 31st. Our good friends at the Uxbridge Accordion Band are presenting their latest concert, titled “Latin Fever” on the evening of Wednesday the 26th of April 2017 between 8.00pm and 10.030pm. at The Tower Arms, 2 Thorney Lane South, Richings Park, Iver, SL0 9AE. Admission costs £4.00 (no charge for children) with all proceeds going to charity. For further information, please contact David or Angie on 01895 235601. Next month on St Patricks Night we look forward to welcoming Gary Blair. Gary is well known here and we hope you will bring your family and friends along for an evening of great entertainment. Gary has started a fund to help a young player that he met whilst in the Ukraine. His name is Roman Somerzyak. Roman is blind and does not have an accordion. Gary says this young man is very talented and any donations would be greatly appreciated. Tickets are only £10 each There will also be a cash bar and raffle draw on the night. Peter Le Geyt is trying to arrange a trip to Castelfidardo Music Festival that is held September 10 -17th 2017. Players from all over the world congregate for this amazing event where music is everywhere during the festival week See top professional players and watch the competitions taking place. Contact Peter for more information. Early booking is necessary to secure flights at a competitive rate. 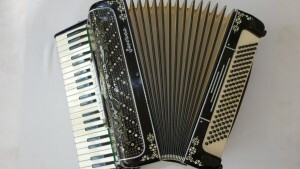 Re: West Sussex Accordion Club, Cants Lane, Burgess Hill. 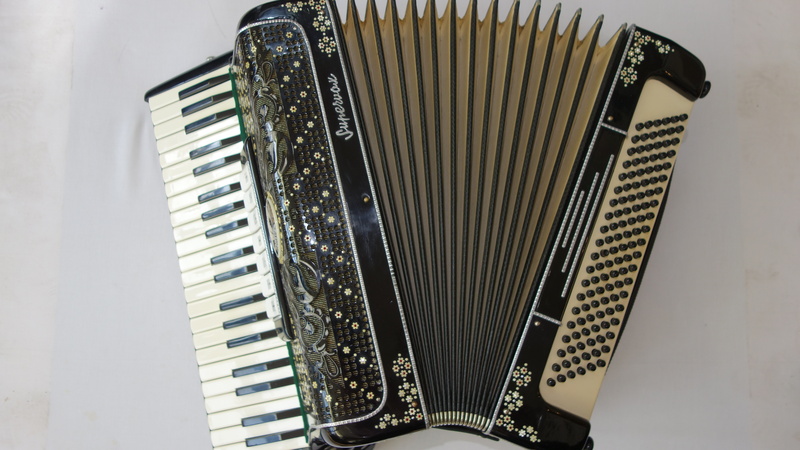 We have just heard via our friends at the Guildford Accordion Club that sadly, the West Sussex Accordion Club that started in September 2009 has closed forthwith. Ron and Sue Bennett wish to say a huge thank you to everyone who supported the club during the past seven years. I think a lot of people would like to thank Ron and Sue for running the club over that time. Tuesday 27th 11.00am – 4.00pm (Sunningdale only – Rochdale is closed). Wednesday 28th, Thursday 29th and Friday 30th Open as usual between 10.00am – 5.00pm (Sunningdale only, Rochdale is closed). Here is a very interesting and informative video from Roland UK, announcing and discussing the upcoming Roland FR-4X digital V-Accordion. We are currently expecting the first deliveries of this much anticipated instrument around late January early February. Contact us today to pre-order yours! 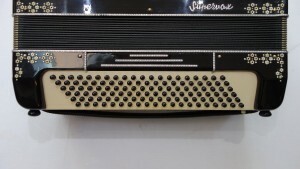 Ranco Supervox 120 Bass Accordion now in stock! 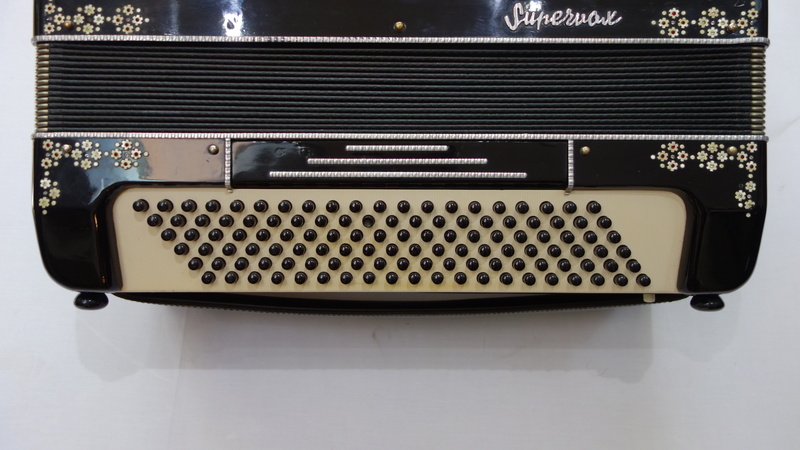 We are pleased to be able to announce that we have just taken a top quality Ranco Supervox 120 bass accordion into stock. 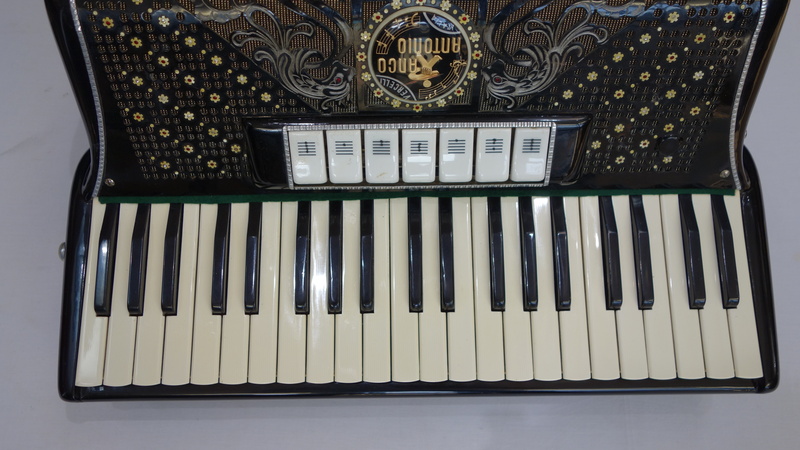 This stunning professional standard accordion is a full size 120 bass 41 treble key model, and is tuned to a four voice musette, making it ideal for the French and Scottish styles of playing. 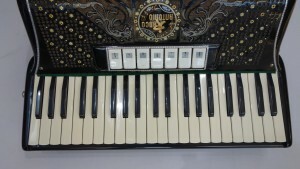 One of the main things that attracts players to the Ranco Supervox, is the outstanding quality of the reeds, making this a very sought after accordion. 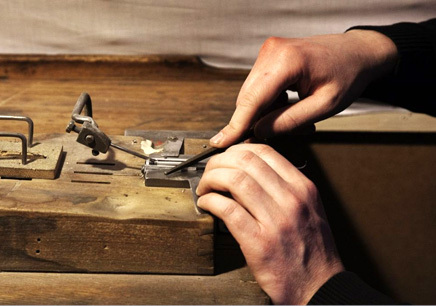 Our particular example benefits from having just undergone a full restoration in our workshop. This Ranco Supervox is presented for sale in very good cosmetic condition for its age, and finished in a high gloss black, and features a very attractive full decoration. 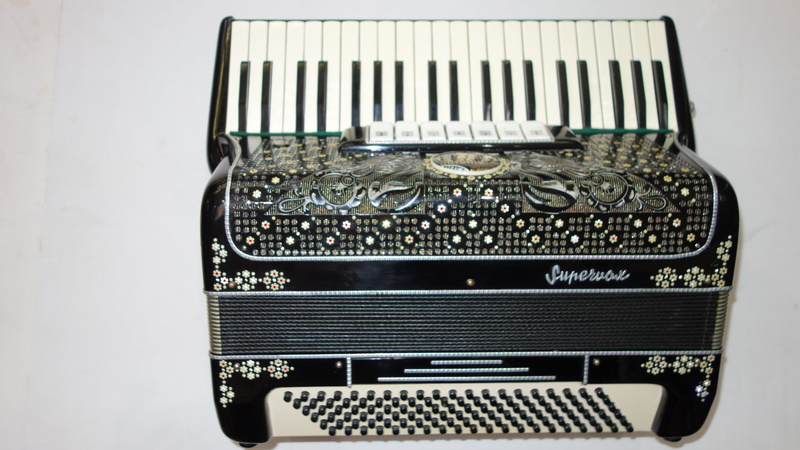 The Ranco Supervox would make an ideal accordion for the professional player, or indeed, the discerning amateur, and would be the perfect ceilidh box. 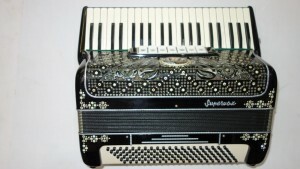 This classic accordion is reasonably priced at only £2,995, so why not visit us today and try it out for yourself!